An engine compression test is used to investigate the condition of the engine. 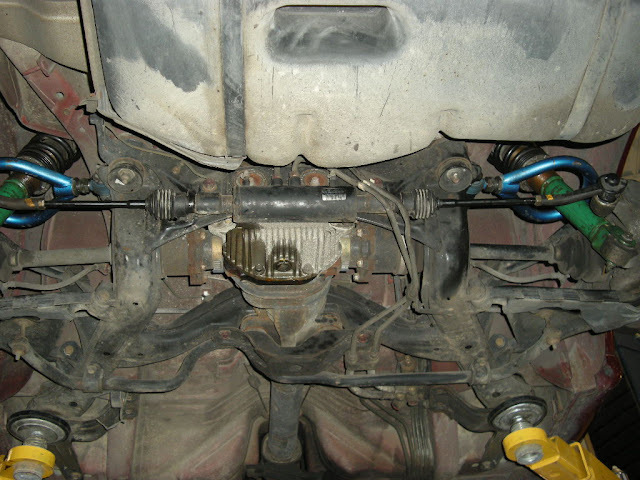 The basic theory is that by using the starter motor to crank over the engine, you remove the spark and fuel and see how much pressure each cylinder will build. 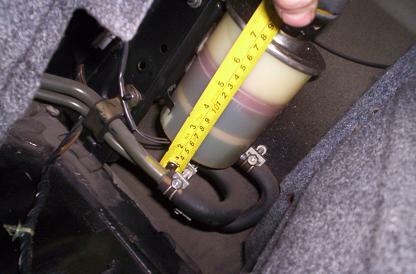 The compression test is often confused with a leak-down test. We always start with a compression test because if the compression across all the cylinders is above the minimum required spec, and each cylinder is within 10% deviation of all the other cylinders, then it's fair to assume the engine is in good shape. The engine leak-down test comes after you perform a compression test, if one or more of the cylinders showed bad compression. By adding a few drops of oil through the spark plugs holes at the top of the cylinder you can effectively temporarily seal the piston rings. Then you re-do the compression test and see if the numbers improved. If the compression holding did go up, then you know the problem is with the piston rings. If the numbers didn't get any better, then you can be sure it's not the piston rings, but instead could be a head-gasket, or bad valves. This will mean the difference the between pulling the whole engine out, versus just removing the head. If your car battery is weak or not powerful enough, there's a very good chance this test will kill your battery. It's a good idea to have a charging kit near-by just in case.Check out this Article on How To Relocate your Car Battery. Start by removing the strut tower bar (if you have one). Then, using an allen key, remove the cap screws from the coil-pack cover. Next, you'll need to unplug the ignition amplifier situated at the rear, bolted to the coil-pack cover. There's one large plug, and a ground wire that need to be disconnected, then you should be able to lift up the cover just enough to reach your hand under, and unplug the ignition harness from the under-side of the amplifier. Use a spark plug removal tool with a ratchet extension to carefully remove each spark plug. Then, screw the compression tester adapter into the spark plug hole #1, and connect the gauge to the hose. Now, you'll need to make sure no fuel or spark is triggered while doing the test, this is accomplished simply by disconnecting the Cam Angle Sensor, located on the front of the engine on the timing belt cover. This next part is easier to do if you have the help of a friend but it's not absolutely necessary. If you have a friend, tell them to sit in the drivers' seat and press the throttle down to the floor and keep it there, while you hold the gauge in your hand and watch the pressure build. Turn the key and allow the engine to turn over between 3 to 5 times. If you're doing the test just as a quick check of the condition, then three cranks per cylinder may suffice. By the third crank you should see a pressure of at least 150 PSI to indicate proper sealing. If you're doing the test to see what the real maximum seal pressure is then it's recommended to do 5 cranks, where you should see a pressure of near 160 or above. A brand new fresh engine built to Nissan OEM spec will see just near 170 PSI on each cylinder. A new engine fitted with a thicker head gasket such as 1.1 mm or 1.2 mm will see less pressure due to the increased volume of the combustion chamber, and you'll see near 150 or 160 PSI. An older engine with roughly 100,000 km's on it may see near 160 or 155 PSI. If your Engine is blown or not holding compression you may need to consider removing the engine, here's a link to our Guide on How To Pull the Engine and Engine Removal. Anything lower than 140 PSI, or seeing more than 10% deviation between cylinders indicates a potential problem with piston rings, or valves or the head-gasket. If you do find low numbers, then it's a good idea to drop some oil into each cylinder and re-do the test. This is the leak-down test, which will now tell you whether or not its the piston rings or something else causing the problem. A well maintained high-mileage engine can easily see above 160 PSI though, it all comes down to if the engine has been abused or not. Great insight into the subject! Thanks for adding to the knowledge base! My mechanic did a compression test on my R33 GTR and found 60 psi in cylinder 5. He thinks that if the issue had been with the bottom end, the engine would be noisy or run really rough on a consistent basis. My engine actually starts right up, runs like crap for the first 10-15 minutes, but as soon as I give it gas under load, the car still pulls hard. I am stumped as I cannot confirm or deny what he is saying, without him checking the head out first. If the compression gauge didn't hold pressure when he did it (he says his gauge has a bleeder/valve that keeps the same pressure showing on the gauge), does this mean a shot bottom end/rings/ring lands, or does it mean some valve(s) burnt or stuck open? While I would like to tell you that right off the bat I would suspect piston rings based on the fact you said on cold start it's low pressure but on gas it's solid - I think making this assumption could be dangerous and not worth saying, because, whatever the problem is it needs to be addressed. I would first bring it to a second mechanic, don't tell them anything and just have them do a second compression test - compare the results. Maybe they will get good results? Second, assuming Mechanic #2 gets the same reading, I would think to myself "whatever is causing the low reading has happened for a reason" meaning, if it's a valve that's not sealing correctly, why did the valve seal change? has some debris run through the engine perhaps? This is where an engine leak-down test can tell you whether your issue lies in the head or in the block. Personally I would agree with your mechanic's presumption that it's not going to be bearings, you would be able to hear that symptom. Could be piston rings though, could be a gouged bore, as you rev and more oil flows it would make sense that the oil could block the gap/gouge and you get full power again. Lastly, I contend that you likely cannot physically tell the difference between 6 cylinders pulling @ 160 PSI under boost, VS 5 cylinders and one crippled under boost... simply put, under boost I don't believe anyone could tell just by "feel"... get a second opinion, leak-down test to confirm diagnosis. Good luck. Is it true that regardless of the values got, as long as their difference is not above 20 psi, it's just ok? I've heard that from several car gurus before. I've asked because we just had an engine rebuild from a reputable machine shop, had done a compression test after the break in. Was a bit surprised the values are all around 135 psi, was expecting higher, but good news is values are almost all the same across. Head gasket is Nismo 1.2, N1 pistons and rings, used Stanley brand compression tester from a local shop. I'd be willing to bet you're running a thicket headgasket and increased boost ye? In that case lower PSI makes sense, your builder may have compensated compression for boost increase. One of the known GT-R builders said they seldom use compression testers, because there are too many factors involved like temp, voltage, the way its done, cams, even the tester itself. We were actually gonna buy a new tester just to compare. :D What they do is leak down test, especially if there are one or more values noticeably lower than the others. Since the values we got are very consistent across, there's really nothing to worry about. Well, that's what they said.. hehe.